Um, what can I say about Lady Cupcake's Corner? She has mad cupcake topper skills. but her cupcake toppers are so awesome. so give her a ring for your next PAR-TAY! Cory has offered to give away a $25 shop credit to Lady Cupcake's Corner!!!!! Visit Lady Cupcake's Corner and leave a comment sharing the name of your favorite set of toppers. Love the high heels! Perfect for our Mom's Night Out that is coming up with our playgroup! how cute!! I really like her blue owls & the fleur de lis! Toy Story, for sure - - my son would freak out!! I love the pirate, mickey mouse, and race car toppers. I love the Toy Story ones, but I'd end up with the Mickey and Minnie (ALL Minnie!) for my 2 year old's next birthday! 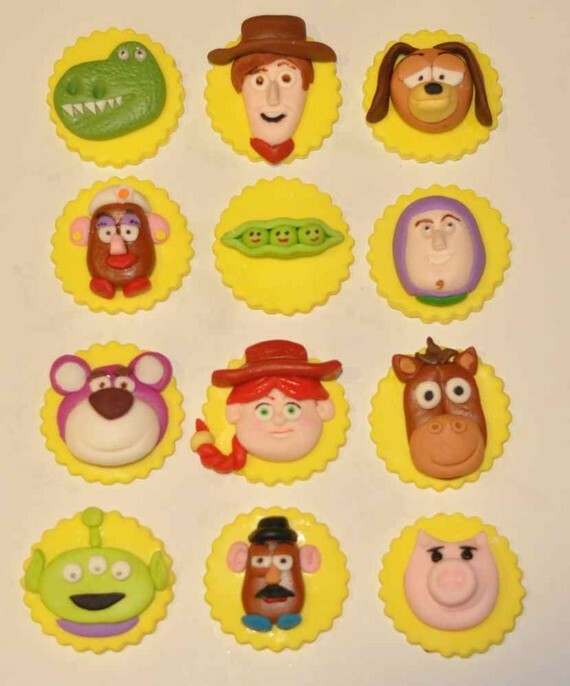 I love the Toy Story Cupcake toppers...my daughter would love them! I am already a fan of I am Lady Cupcake!! LOVE the owls!! SO CUTE!!! I need the Elmo ones for my daughter's 2nd birthday, freakin' adorable! Holy cow. Your sister cousin is gifted! These are stunning. My son's favorite would be the Mickey ones, hands down. My favorites are the vegetable garden and the heels. Holy cow...killing me with cuteness! I love all of the different owls! What a great idea! I love the Vegetable garden toppers...so cute! 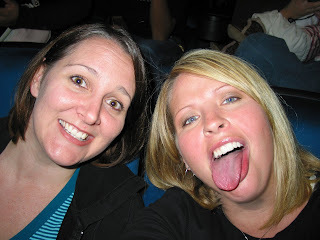 I have your celebration button on my blog! Because I'm obsessed with owls I LOVE THE OWL TOPPERS! How cute! I like Lady's Cupcake Corner on FB! I love the owls! too cute! I love the bass fish toppers! Cute! Where do I BEGIN? I love all of them! The bass fish, the toy story ones, the Tangled ones, the high heels, the cookie monster, SO MANY!! Love LadyCupcake!!! Left a link on my FB page to your giveaway. My husband's b-day is coming up, and the "Rainbow Trout Fondant" toppers would be perfect!! I "like" Lady Cupcakes Corner" on FB!! I love the Nightmare Before Christmas cupcake toppers! Your regular button is on my blog. The Toy Story Toppers are adorable! Wow, hope I win. She has got some serious cupcake topper skills!! Love the Toy Story toppers, the owls, even the fish. Too awesome! I liked Lady Cupcake Corner on FB! Thanks for the chance. 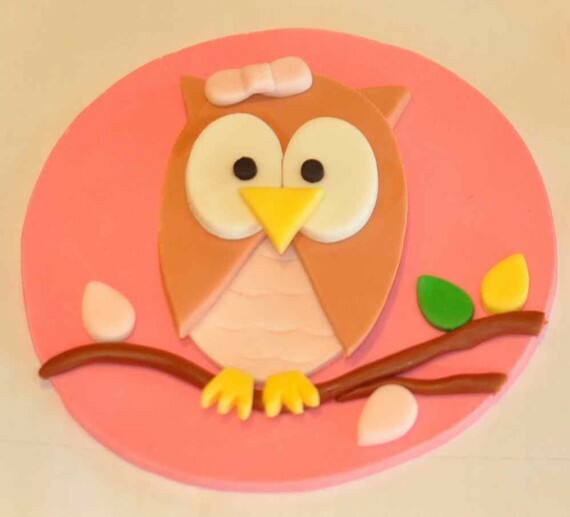 I love the pink owls! My fav are the Tangled Rapuzel cake toppers! Perfect for my daughter's bday! 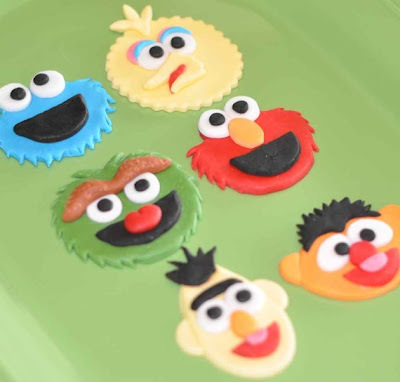 I'd LOVE to have the Mickey and Minnie Fondant Cupcake or Cookie Toppers for my little guys 2nd birthday in July! He truly loves Mickey Mouse! posted a tweet about this! I love these cake toppers. My favorite is the pink owl ones. They are sooo cute! I like Lady Cupcake's Corner on Facebook. mickey and minnie are for sure my fav! I like lady cupcakes corner on fb!